Microsoft's long-awaited Xbox One X is finally here, and now that we've had the chance to go hands-on in our review, what does true power feel like? Microsoft is on the verge of a new console release, and no, it’s not a jump into the next generation. Instead what we have here is a super-charged mid-cycle refresh known as the Xbox One X. With its release, the “X” cements itself as the new top-shelf option within the Xbox One family and, for that matter, home console gaming as a whole. More importantly, the “X” is aimed at the console gamer who seeks a “no compromise” and “true 4K” gaming experience — but that luxury comes at almost double the price of its existing One ‘S’ sibling without checking many more boxes. So who is the Xbox One X for? Hopefully, this review will help figure that out. Like any purchasing decisions, to understand where you’re going, it’s good to know where you’ve been. In the case of Microsoft and the Xbox brand, we need to go back about 17 years to the unveiling of the original Xbox. Back then, Microsoft CEO Bill Gates hit the stage at CES 2001 and touted the cutting edge nature of their first entry into the console market, the Xbox. The original Xbox was the first console to ship with a hard disk drive, was powered by Intel and NVIDIA, and ready for the “upcoming” standard of high definition resolutions. It was a forward-thinking piece of hardware, and was all about the horsepower it brought to the table for video game developers. Fast forward to 2005, when Microsoft had a follow up on the horizon: the Xbox 360, which would become the company’s most successful console to date. It transformed what we came to expect of a “game console” as an all-encompassing entertainment platform, seamlessly merging games with other forms of entertainment — be it Netflix, YouTube, or anything in-between. That’s not to say the Xbox 360 didn’t have its own struggles. Like any jump in technology, the device also hit bumps along the way, for instance the dreaded “Red Ring of Death” — and does anyone remember the HD DVD add-on? But even that wasn’t enough to dethrone it as the primary gaming device for many (if not most) during that console generation. Microsoft and the Xbox team were willing to take risks towards a vision in hopes of taking over the primary HDMI port on the most important screen in your home. A mere 17 years later, Xbox One X (with all of its bells and whistles) is the culmination of that vision. The brand new Microsoft device touts six teraflops of computing power and a whopping 12GB of GDDR5 RAM at 326GB/s. 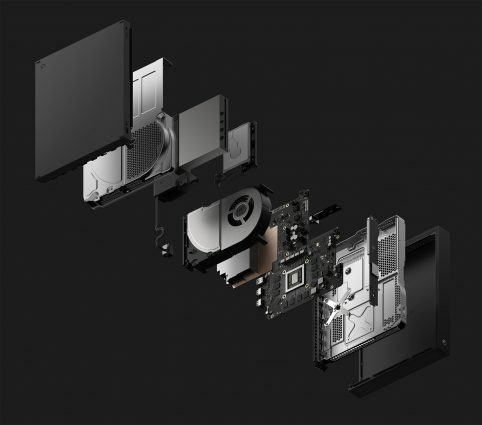 With that kind of muscle under the hood, the Xbox One X places itself firmly in a spot between its current high-end console competitor (the PlayStation 4 Pro) and what some would consider a mid-to-high tier gaming PC. While size doesn’t matter to everyone, the Xbox One X also happens to be the smallest console Microsoft has ever made. The Xbox One S that came before it was 40% smaller than the VCR-like monstrosity of the original Xbox One that shipped in 2013, and the Xbox One X fits nicely within that footprint. Speaking of looks, the Xbox One X features a matte black finish on a monolithic slab of plastic that doesn’t call too much attention to itself — especially when compared to the Nintendo Switch’s neon Joy-Con controllers or the over-sized PlayStation 4 Pro. But when you realize how much power and features are packed into its small frame, you have to admire the engineering that took place here with the Xbox One X. Everything else on the exterior (ports-wise) remains unchanged from the “S” model. In other words, the machine still features three USB ports (one in the front, two in the rear), one gigabit Ethernet port, one Optical Out port, and HDMI In (for Cable or Satellite), and an HDMI Out to your TV. More interesting than what does appear is the fact they are able to space out those components, and still fit them within the size of the case. For those that don’t know the “X” isn’t the console maker’s first foray into 4K. That honor belongs to the Xbox One S, which introduced 4K Blu-Ray disc playback as well as 4K upscaling for certain titles. However, this time around, Microsoft is introducing true native 4K display to the mainstream gaming audience with the Xbox One X. This places Microsoft in a familiar spot: once again at the forefront of a new format, just like the adoption of HDTVs that took place 17 years ago. With Xbox One X, the team at Microsoft is going to market and brand titles on the system with three distinctive icons: 4K Ultra HD, HDR, and Xbox One X-Enhanced. Let’s go over what each of these mean. Games that offer 4K Ultra HD will mean that the title features a 4K frame buffer. Whether it’s native 4K or using some kind of “Faux-K” rendering technique (like checkerboard rendering or dynamic resolution), any titles featuring this insignia will push the resolution to 2160p, if your display can support it. Meanwhile, in the 2017 gaming scene HDR is pretty self-explanatory: games with this icon on the box will support the HDR10 standard. When enabled, this feature (even more than resolution) is the key differentiator visually for most games. 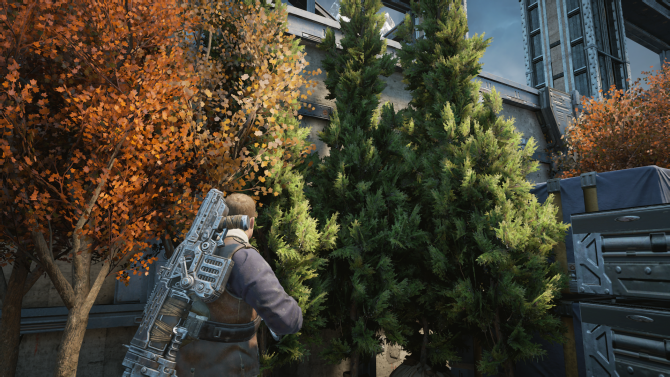 HDR provides a wider color palette that you just could not see before in high definition; however, this feature is not exclusive to the Xbox One X. Gamers who enjoy the Xbox One S will also benefit from HDR games, and it should be mentioned that it’s also supported by both the basic PS4 and PS4 Pro. As of my first draft of this review (October 29th, 2017), the number of enhanced games for the Xbox One X — both older and upcoming — is currently at 150 titles. For those counting, that is shy of the 239 titles currently enhanced on PlayStation 4 Pro. Of course, “enhancements” is a general term and can mean various things for different games: some titles may see improved load times, while others get unlocked frame rates or newly-added textures. “Xbox One X-Enhanced” is for games that have had their developers put in the extra time and effort to maximize titles. This, in turn, makes enhanced titles run better on the console thanks to the improved specs. People put in the work to get those six teraflops… um… flopping, or whatever it is that they do. Big first-party titles like Forza Motorsport 7 and Gears of War 4 have these enhancements coming into play through software updates. 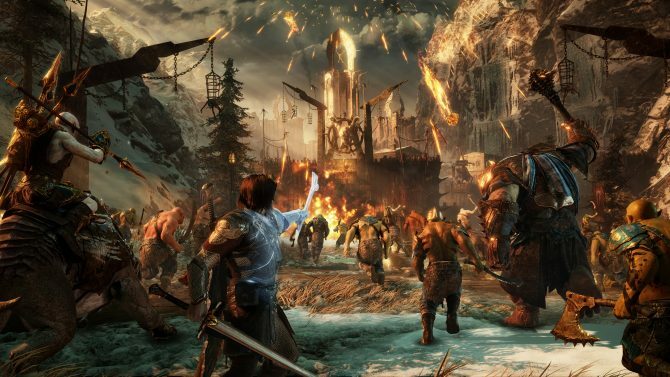 Some third-party titles, like Middle-earth: Shadow of War, will feature this special treatment as well. In that specific case, players can expect 4K, HDR, and a consistent 30 frames-per-second at the highest quality version available (outside of high-end PCs) for Middle-earth: Shadow of War. This narrative that “Xbox One has no games” just isn’t true. 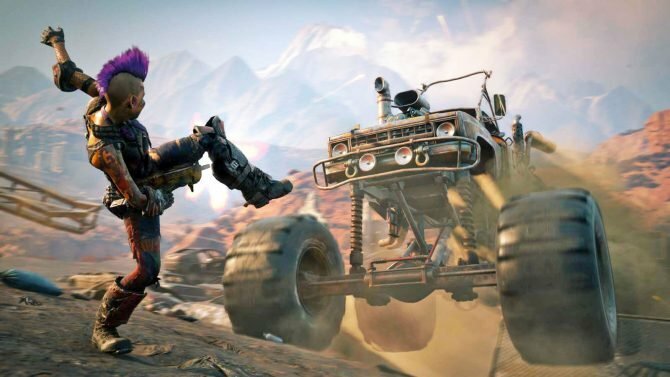 Whether or not Xbox’s first-party lineup is your personal cup of tea is something you can certainly debate, but you cannot deny that most of the games — which obviously include third-party titles — are more than readily available for the entire Xbox One lineup. While we all love to lord over exclusive games and what people can’t play on their other plastic box, the vast majority of games coming out and selling in top-chart positions are multi-platform releases. In that respect, people shouldn’t define the boxes solely by their niche market of content — Xbox isn’t solely comprised of Halo, Cuphead, and Forza, just like PlayStation isn’t limited to Uncharted, Persona, and Gran Turismo. OK, now that we’ve got that out of the way, let’s move on. As I attended game preview events in 2017, I made sure I asked developers if they’d be going out of their way to add in a “performance mode” upgrade to their upcoming or existing titles. Most said the usual “nothing to announce at this time” as to not make a commitment one-way or another. 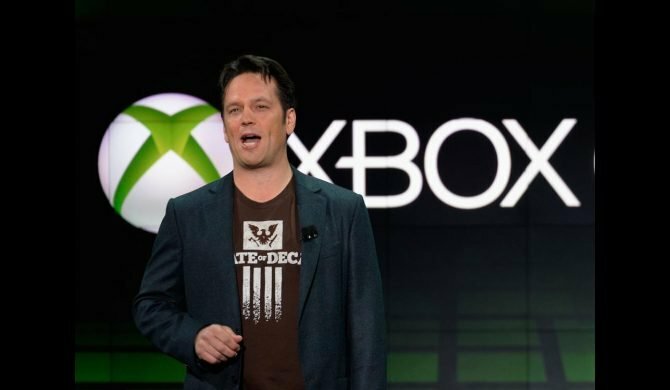 However, Microsoft answered this question with the materials they sent in with the One X hardware: not only do newer titles (and those committing to Xbox One X) updates benefit from the under-the-hood improvements, but existing games (both from this gen and Backwards Compatible titles) will be enhanced by the console without any additional work from the developer. According to Microsoft, this is possible because of the system’s 12GB of GDDR5 Ram with speeds of 326GB per second. On top of that, loading times will also see improvements from the 50 percent faster hard disk drive. As I mentioned, these enhancements are all happening at the system level, with no additional updates or work needed from the developers. I was able to see this all in action when I fired up Gears of War 2 and Halo 3, which are now nine and ten years old, respectively, and it gave me a better idea of what the added horsepower meant to the standard, non-enhanced titles. In short, the games loaded faster, there were no more notable textures popping in, and framerates of each title were rock solid. Jumping between Gears of War 2 and Gears of War 4, I was surprised to see how consistent the overall experience was. 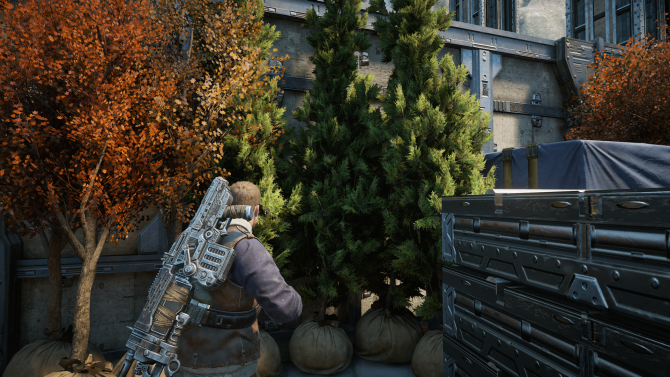 Obviously, Gears of War 4 is running at 4K with very obvious higher-quality assets; but Gears of War 2 didn’t feel like a nine-year-old experience when comparing the two. Through the Xbox One X, what was old is made new again. With so much focus on the “4K” buzzword, you would think that only existing 4K TV owners or prospective buyers that would benefit from the Xbox One X. After testing it on both, I need to issue a correction. A more accurate assessment would be that those buyers would probably benefit the most — principally because they’d likely also be benefiting from the HDR enhancements as well. However, owners of 1080p TVs (and that’s the majority of HDTV owners) would enjoy the benefits of the system’s higher quality assets super-sampled down to their respective resolutions, even without the bells and whistles of 4K visuals and all that the Xbox One X provides. I was able to test this with Gears of War 4 on a 1080p TV while swapping back and forth between the Xbox One S and the Xbox One X. What I instantly saw was the difference in aliasing/jagged edges. When playing on the Xbox One S, the game’s characters in motion appeared to an almost outline-like set of rigid lines. Meanwhile, on the Xbox One X, this grid was completely non-existent. Other notable standouts were the environmental textures and assets. When slowing down to look around and take in the details, you quickly realize that the Xbox One S displayed a softer, hazier image overall when compared to the Xbox One X. Gears of War 4 running on Xbox One S on a 1080p TV. 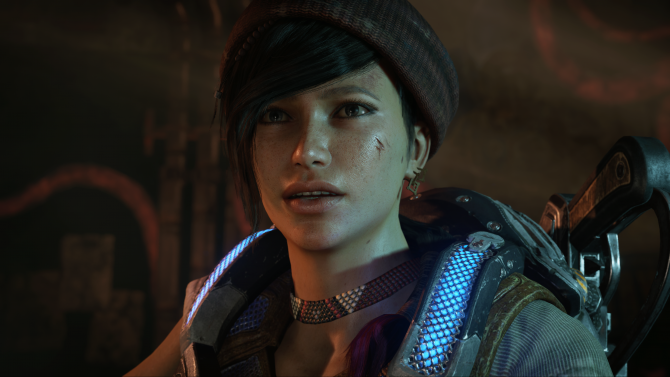 After testing the 4K-to-1080p supersampling, I switched on the performance mode on the Gears of War 4 campaign. While it’s not displaying at 4K, it still uses higher resolution textures than the vanilla version on the Xbox One S. More importantly, because of the fluidity of its 60fps framerate, it looks like a completely different game. In this case, playing the Xbox One X on a 1080p screen felt like an overall better experience than what is currently available on the original Xbox One or Xbox One S.
It’s worth noting that this difference was much more noticeable in some games than others. A game like Gears of War 4 performed noticeably better than Forza Motorsport 7 simply because of the nature of the latter title. 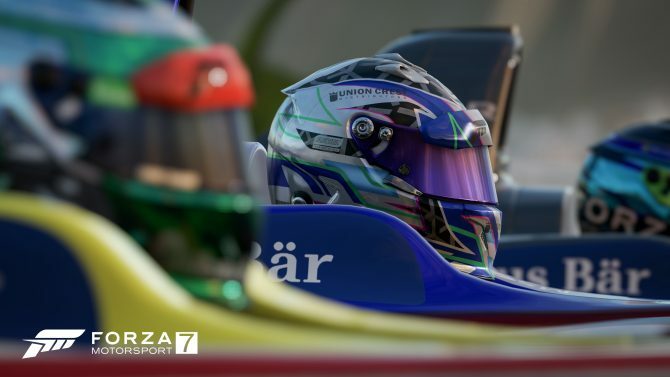 While Forza Motorsport 7 on the Xbox One S featured a softer image overall when compared to the Xbox One X when played on a 1080p display, you would have to pause the action and take screenshots to really analyze and compare the differences. Otherwise, in motion the differences were mostly negligible. Gears of War 4 running on Xbox One X on a 1080p TV. Unfortunately, for the purposes of this review I could not compare recently-released titles like Assassin’s Creed Origins or Middle-earth: Shadow of War in a similar fashion, as their respective updates (with One X enhancements) don’t release until after this review goes live. However, with both of those titles getting 4K assets, I think it’s safe to assume a very similar outcome to what I experienced with Gears of War 4. One very important differentiator about the way the Xbox One X handles supersampling compared to the PS4 Pro, is that — like the Backwards Compatibility enhancements — the feature is achieved at the system level. Meanwhile, on PlayStation 4 Pro, it takes actual work and proactive updates from the developers to implement. As a PS4 Pro owner myself, this is currently one of my frustrations that has me recommending the standard version of that console to would-be buyers, when asked. The Xbox One X has two key points working against it that place it more in the “niche product” category than the “must-have device” that Microsoft is hoping audiences will respond to. Essentially, Microsoft is in a competition with itself due to how solid the Xbox One S is at a budget price. 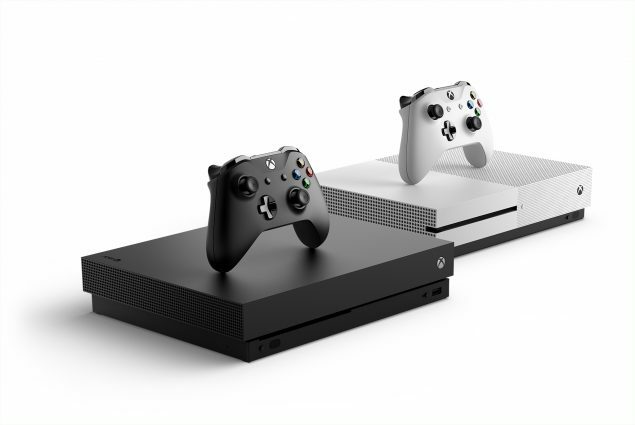 The Xbox One X and Xbox One S are running an identical system UI; they both support the same suite of streaming apps; they both feature a 4K Blu-Ray player and support the HDR10 standard. For those who take their home theaters extra seriously, they support the same video and audio codecs. Most importantly for consumers, you can often find the Xbox One S for half (sometimes even less than half) the price of the Xbox One X. To put things in perspective, the Xbox One S console I picked up for comparison in this review only cost $189 at Costco, and it came with a game packed-in. Then there’s the dreaded FOMO factor, otherwise known as “fear of missing out.” This not only goes against the Xbox One X but the Xbox One family of devices in general this generation. For those out of the loop, since 2013 Microsoft has been fighting an uphill battle against their PlayStation counterparts. Microsoft began the current generation with a focus on TV and the (now defunct) Kinect sensor, and gamers weren’t having it. It’s an issue that’s plagued the platform since it launched in 2013, with many early adopters having moved on to the PlayStation ecosystem due to Microsoft’s fumbled launch. This eventually led to PlayStation amassing a sell-through rate that is tens of millions of units higher than that of the Xbox One. With that grab of its market share, there was a migration of players who jumped ship from Xbox Live over to the PlayStation Network. In a little over five years time, I’ve heard the online gaming conversation shift from “what’s your Gamertag?” to “what’s your PSN username?” During the heyday of the Xbox 360, it was assumed you were on Xbox Live: that’s just not the case anymore as the PS4 has become the dominant console platform. But therein lies one of Xbox’s biggest hurdle. With many gamers eating lunch with PlayStation in their ecosystem, will the Xbox One X’s sheer power be enough to draw back since-jaded fans? The answer will likely come with third-party and exclusive support, with Microsoft needing to take an aggressive stance against the powerhouse that is PlayStation. The Xbox One X is the definitive way to play multi-platform games on console, whether or not developers go out of their way to put enchantments in place. With that said, as gaming has become more and more social and developers have been focusing on online experiences, it begs the question: will my friends also be making the switch to the Xbox One X? The Xbox One X’s direct competitor is Sony’s PlayStation 4 Pro, and while Sony’s console can be had for around $100 less, it’s missing a key component that makes it come up short of its 4K ambitions: a 4K Blu-Ray drive. When you add not just the inclusion of 4K Blu-Ray but also 40% more overall horsepower, the Xbox One X stands alone as the king of the hill in the console spec war. It may not have some key exclusives from other platforms, but Microsoft hopes that it can make up for it by having the most popular games in the world look the very best on Xbox One X. When I outlined how I wanted to approach the end of this review, I initially wanted to divide it into different parts: one for existing Xbox players, one for new players, and one for 4K TV owners. The reality is that this doesn’t work because at the end of the day, everyone is either a current 4K TV owner or they will become one when they purchase their next TV (in 2017, it’s estimated that 40% or more of all TVs sold will be 4K). If you’re looking to just dip your toes into the Xbox ecosystem, you are all cleared to go with the Xbox One S model. If you have a 4K TV or not, if you’re heavily invested in another ecosystem, you can still enjoy the Xbox experience with the Xbox One S and do so within an impulse-buy price range. 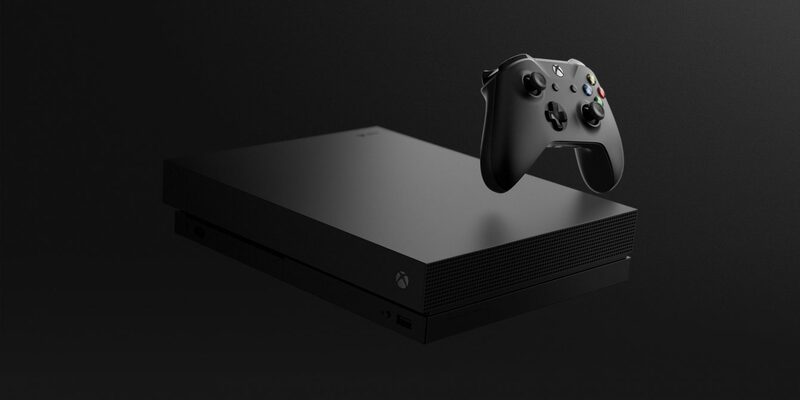 However, if you’re a multi-platform gamer and the type of consumer who doesn’t mind paying extra for a premium experience — one that will by default play and look better not just on the TV you currently own, but will also look amazing on the next TV you purchase — the Xbox One X gets a ‘Buy’ recommendation from us. 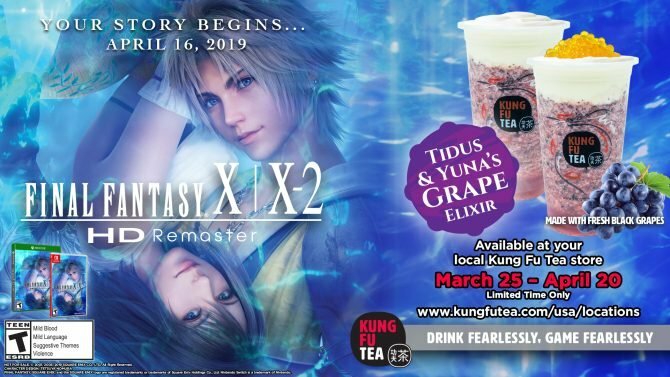 Microsoft is hoping that just like back in 2001 “the power of X” can get gamers excited about cutting edge technology driving their console games. And while the Xbox One X might not fly off store shelves, it’s at least bringing back much needed attention to the brand and all of the other incentives that come from the Xbox One family of devices and services. 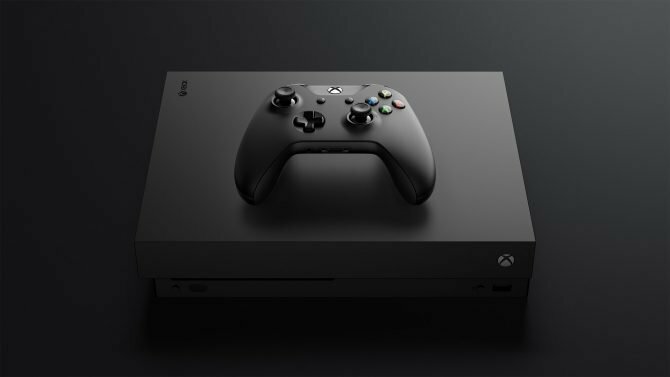 Editor’s Note: As mentioned above, the Xbox One X provided by Microsoft, along with 20 downloadable games to test the hardware with. Along with the software, the package also included subscriptions to Netflix, Spotify, Dolby Atmos, Xbox Live Gold, and Xbox Games Pass, all ranging from one to three month subscriptions. During our review period, Gears of War 4, Killer Instinct, and Super Lucky’s Tale had received their 4K HDR updates. DualShockers has played both Assassins Creed Origins and Middle-earth: Shadow of War on Xbox One X hardware in pre-release iterations with Xbox One X enhancements in place at various events in 2017. The original draft incorrectly stated that Xbox One X’s enhanced titles matched PlayStation 4 Pro’s in quantity. The statement has been edited to properly reflect PS4 Pro currently has 239 titles supported.